Many homeowners are discovering that wood stoves provide an aesthetically appealing and cost-effective complement to their heating system. Here's a guide to finding a wood stove that will help keep your home comfortable over the winter. Wood stoves are divided into two main types depending on the kind of fuel they use: logs or pellets. The former produces heat by burning wooden logs, while the latter produces heat by burning pellets commonly made of compressed sawdust. Pellet stoves also usually come with a hopper – a component which allows it to operate automatically. Both log-burning and pellet-burning stoves are capable of providing supplementary heat in an energy-efficient manner, helping you save on the cost of home heating. However, they are usually intended for slightly different purposes. Log-fed wood stoves are made to provide quicker heat on a more occasional basis, while pellet stoves are intended to provide more consistent heat over a longer period. 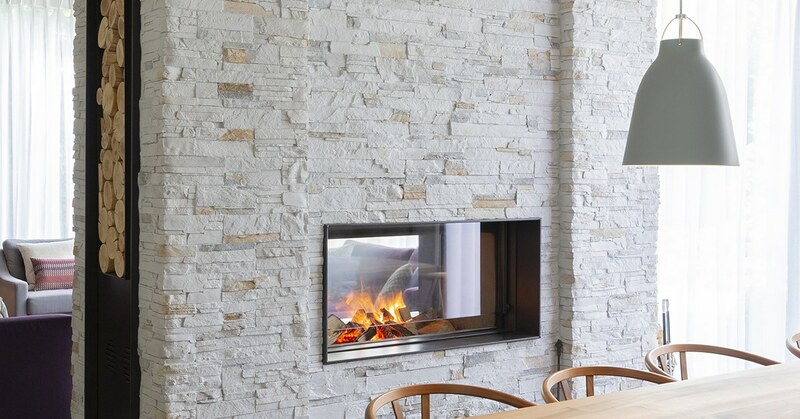 Another difference is that pellet stoves can be vented either horizontally or vertically, while traditional wood stoves require vertical venting and an existing chimney or fireplace. Montreal residents need to be aware of wood stove bylaws that came into effect in 2015. In certain boroughs, residents are required to declare ownership of wood stoves, ensure that their wood stove has an EPA or CSA/B415.1-10 certification stating that it does not emit more than 2.5 g/h of fine particles, and refrain from using their wood stove while a smog warning is in effect. To give you an idea of whether a wood or a pellet stove is a better choice for your home, here is a quick glance at how they compare in terms of several different characteristics. Another good way to compare wood and pellet stoves is to look at their main benefits, drawbacks, and safety considerations. As long as the fuel used in a wood stove is sustainably sourced, its operation will be essentially carbon neutral. This is because trees recycle CO2 as they grow, releasing oxygen and incorporating the carbon into their structure. When a tree is burned for fuel, the amount of CO2 that is released into the atmosphere is similar to how much would be released from the tree's natural decomposition. However, wood burning can have a negative impact on air quality if it creates a smouldering fire with blue-grey smoke. The best way to avoid this is to upgrade your wood stove to a new, cleaner-burning model that is EPA or CSA certified. Newer models can help cut emissions by as much as 90%. Using dry, clean logs and fuel and selecting a wood stove that is the right size for your home will help reduce emissions as well. Every wood stove should be accompanied by standard tools such as a poker, a rake, a shovel, and a brush. These tools will help you manage the fire and remove ash. They are often available in sets that are both functional and decorative. An ash bucket is essential for cleaning out ash after using your wood stove. Simply use an ash shovel to scoop it in and a brush to get it from out of all the stove's nooks and crannies. An ash bucket can also be used to store kindling. For quicker and easier cleanup, consider an ash vacuum. These specialized vacuums can remove ash from your wood stove at the click of a button, and advanced filtration ensures minimal dust. Stove fans can improve the energy-efficiency of your stove by helping the heat disperse much more quickly. 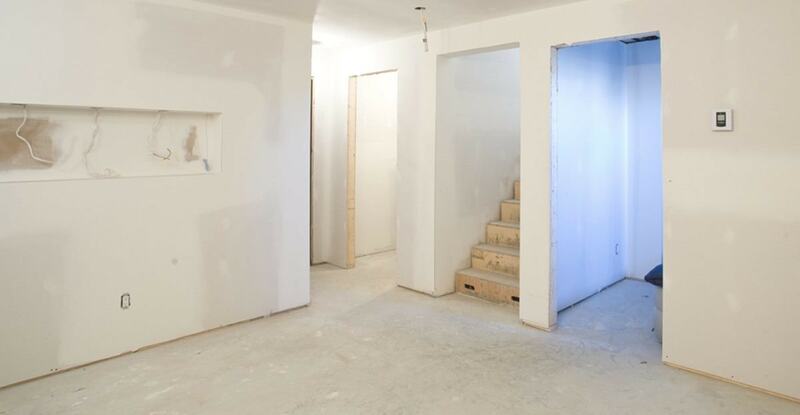 They are particularly useful if you have an open floor plan. Stove gloves are made of heat-resistant material that will help keep your hands safe when opening the stove door or when reloading fuel. If you have a log-burning wood stove, then a log holder can help keep your logs neatly stored nearby. Some log holders are also portable and can make transporting wood easier. 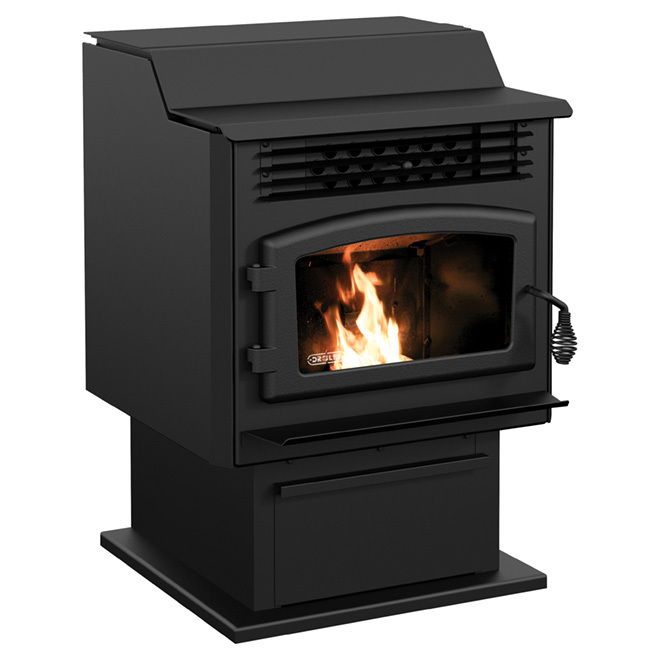 Before you proceed with the installation of a wood stove, you should find out if you need a building permit and obtain one if necessary. It's also a good idea to inform your home insurance agent so that your policy can be properly updated. Selecting the location of your wood stove is one of the most important installation decisions. First and foremost, it should go in the location where the heat will be best utilized. This will generally be on the main floor, in the living room or kitchen. A central location will also help to disperse the heat among the widest possible area. A wood stove can be installed just about anywhere as long as there is adequate space for the stove itself and as long as the chimney can be correctly routed. The stove pipe should also have room to run straight up. 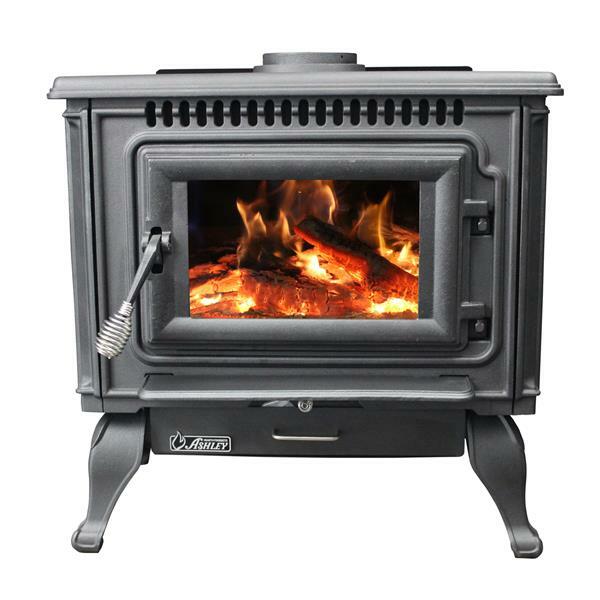 Wood stoves are available in a range of different heat outputs and sizes. A bigger stove with a larger output isn't always going to be a better one. 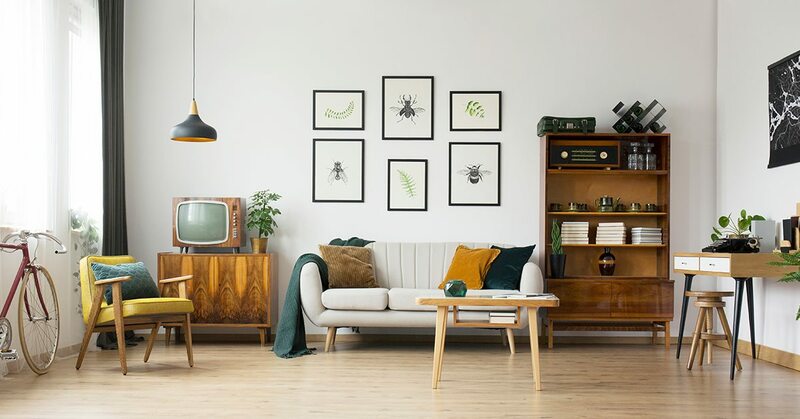 If it is oversized for the space, then it can make the room uncomfortably warm. Likewise, a wood stove that is too small for the space may end up being overused. Small units are great for zone heating in a smaller area while large units are a better choice for an open floor plan that will allow the heat to circulate. To guarantee that your wood stove is installed safely and correctly, you should trust the installation to trained professionals. It is not recommended that you connect a wood stove to an existing chimney and begin using it. A professional installation will assure you not only of your wood stove's safety but also of its performance. Installing both a smoke detector and a carbon monoxide detector in or near the room where your wood stove is located is also highly recommended. If there is ever an issue with combustion, you want to be alerted to it right away. Proper maintenance is important for ensuring that wood stoves burn cleanly and efficiently. It helps decrease the risk of a fire and of dangerous emissions. Here are some tips for wood stove maintenance. Scoop or vacuum the ash on a regular basis to prevent mess and increase the volume of fuel you can use. Perform a thorough cleaning of your wood stove and its venting at least two times a year. Check the flue pipes and chimney for any signs of deterioration, such as bulges, corrosion, and rust stains. Clean the glass door with a damp cloth or specialized stove glass cleaner to remove any ash or stains. Inspect the gaskets around the door and any other components and replace them when they begin to show signs of damage and wear. Have your wood stove professionally serviced at least every two years to make sure it is operating correctly and to extend its lifespan.